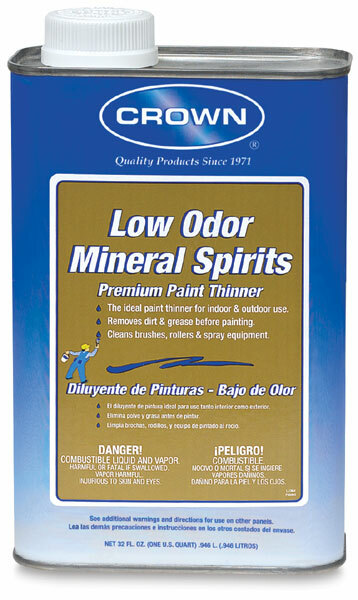 Low Odor Mineral Spirits acts as a fine quality thinner for use in reducing most brush-applied alkyd and oil paints, varnishes, and enamels. It improves brushing qualities and cleans brushes, rollers, and spray equipment. It can also be used to remove dirt and grease from surfaces before painting. 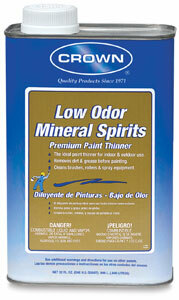 Warning — Although mineral spirits are less toxic and flammable than gum turpentine, they should beused with caution. Follow directions for use carefully. Use only in a well-ventilated area. Mineral spirits are not suitable for use by young children.